We’ve got our ultimate guide to the best gifts for cyclists! Although we’re building this during the Christmas, Hanukkah, and other no less important holiday season, these gifts are great choices for the cyclist on your list at any time of year. Lezyne has once again dropped the special edition of their Enhanced Super GPS in some pretty rad blue and red colors (also available in black). For the cyclist who wants a bike computer with insane functionality, but doesn’t want to drop several hundred dollars on a unit, Lezyne’s full line of GPS computers will make the cyclist on your list way more than stoked. Some of the unit’s features include phone call, text, and app notifications on-screen, Strava Live Segments support, wireless synching, turn-by-turn navigation, power meter and electronic shifting compatibility. In other words, all the stuff you’d find on way, way more expensive bike computers. One of those more-awesome-than-you’d-think gifts for cyclists, Park Tool’s ATD 1.2 torque driver allows you to select up to 6nm of limited force. A super simple interface designed as a beefy, long-lasting wrench allows for comfortable and safe bolt tightening–no risk of cracking expensive carbon parts. The tool works with a dial selector on one end, and a clutch system that doesn’t allow you to apply more torque than the selected setting. Three extra bolts stow away in the handle, and a magnetic bit holder makes snapping different ones in pretty easy. You’re also able to expand the number/size of bits as these are fairly standard compatibility-wise. But the included ones should get most of the routine adjusting/maintaining jobs done. Plus, it’s built to last. Comes with a 3mm, 4mm, 5mm, and T25 star bits. Applies 4-6 nm in .5nm increments. That made sense, right? Cool. Saddlebags are lame (we know, we collected data on the saddlebag debate). Tool rolls are way cooler, and Silca’s high quality, Boa closure secured system is the cream of the crop. A simple and quick flip down and tri-fold heavy weight waxed canvas is waterproof, and super tough. Three pockets within the roll hold 2 C02 cartridges and chuck, spare tube, multi-tool, and patch kit with ease. We especially dig the classic Silca red and black with white stitching. The Seat Roll has a definite leg up on other tool roll types we’ve tried–it snaps off and ratchets onto your seat rails quickly and easily. It folds open and lays flat for quick access to your flat kit. Plus, it stays put on your rails without worrying about losing any of the contents, or the bag itself–all thanks to the Boa System. Are these the most comfortable socks ever? Perhaps. And don’t let the word, “wool” trip you up here–our tester never once complained of itchiness. Uber soft Merino wool is naturally warm, but these socks sport an extra reinforced toe box of sorts that keeps your toes toasty on chilly rides. Uniquely designed for early winter riding, Assos’ Habu socks are a blend of wool, lycra, and micropolyamide (we’re pretending to know what that is), they’re engineered to be stretchy and crazy comfortable. High breathability, great ankle support, mixed fabrics equal some of the best socks our tester has every worn. Assos’ reputation for high quality definitely proves itself true once again. Built for the cool spring or fall weather, Assos’ Tiburu headband is a thin, but warm layer when you just want to keep the biting wind from your ears. In the spirit of “thick but not too thick,” the Tiburu Headband works well when you don’t want to go full-on hat. Super soft, stretchy, and comfortable, this headband fits great under a helmet without adding much bulk. It hugs your head without feeling tight. Pony-tail wearers can still use this in tandem with their helmet without it bunching too much–though it may sit a little lower at the neck. Quite possibly the highest quality headband you’ll ever wear. There’s something kinda different about Skratch Labs: it tastes pretty real. Which is why they’ve got a lot of die-hard Skratchers out there. There new hydration drink mix with strawberries tastes incredibly good–especially if you’re a fan of strawberries. Although it’s not quite as sweet as popping the fruit itself, Skratch Labs does a great job of keeping the strawberry taste in tact (mostly because they use real strawberries). Seriously easy on the stomach, our testers said they felt fresher on long rides, and without a hint of gut distress. Plus the easy taste let them drink more without getting sick of it. Strawberries were a definite hit with our testers, and the orange fruit chews may have disappeared suspiciously quickly (we’re looking at you, Editor Shane. Oh, and a bidon seems to be missing too. We’ll give you time to put it back, no questions asked). We’re not gonna talk about who screwed up in the photography here (pedal at 3-o’clock anyone? ), but we are gonna talk about how crazy cool the Bike Shuttle is. It may not look extra fancy, but it packs a serious wallop in usability. Acting as rolling bike stand, the Bike Shuttle lets you clean your bike, store it upright, or roll it around while you take pictures of it (no one is judging you here) with ease. Simply pop your wheel into the shuttle, and it closes gently around your wheel to hold it sturdily in place. The Bike Shuttle is genius when it comes to washing your bike, and definitely useful when it comes to keeping your drivetrain spotless. Simply roll it around and clean it up, or do some wrenching. We found ourselves using this gadget way, way more often than we thought. It looks simple, but it’s genuinely cool. Light, durable, made in the USA, and, from what our testers found out, kinda indestructible, Flowfold’s Minimalist Wallets fit perfectly in a jersey pocket. They protect your money and cards from getting all gross from sweat, and they hold a decent stack of cards. Although Flowfold does make larger wallets, the Minimalist is perfect for the cyclist who doesn’t want to waste jersey pocket or saddlebag space. Remarkably cool, and especially great for those who want to pop it from jeans to jersey to backpack. This has become our Chief Editor’s go-to wallet for everything. The Bkool Smart Pro 2 pretty much describes itself: cool and smart. Sitting in the middle of Bkool’s line of trainers (alongside the Bkool Smart Go and Smart Air), this unit offers a built in power meter capable of up to 1,200 watts, and simulates grades of up to 20%. It’s also incredibly quiet at 68db, which makes it easy for you to hear music, your TV, or your training videos without having to crank up the volume. Telescoping legs make for a stable base even when you’re sprinting hard, and it comes with a year’s subscription to the Bkool Simulator program, which lets you ride virtually with other riders all over the world and offers tons of training and analysis tools. Full review on deck, but this unit is a great option for serious cyclists who want to stay in shape while staying indoors. Showers Pass is one of the top names in rain and wind proof jackets, and their Spring Classics is a fantastic thin shell for those chilly or rainy days on the bike. Available in a much more visible red as well as black, this jacket is designed for the serious rider who wants function and a great fit. With strategic zippered vents at the sides and neck that help to regulate heat without forcing you to remove the shell, the Spring Classics is our tester’s go-to jacket when the ocean whips up some frosty winds here on the coast. A zippered pocket in the back is set off by reflective details. Overall, this is a deceptively simple jacket that packs a big punch when you need to stay dry and hammering during those spring training days. Super comfortable and shaped to cover your whole upper body even when you’re in an aero position (with dotted grippers at the back to make sure it stays put). Quality. Over the years, we’ve put a lot of jerseys and shorts to the test, and Castelli has consistently been among our top performers. The Free AR 4.1 FZ is ultra lightweight and sports features like ultra ventilation for when you’re on tough climbs on warm days. Meant to fit snug (definitely size up here), this jersey is something of a second skin on your back with sleeves that don’t dig in to your arms and super smooth fabric that never gets uncomfortable–even on long-distance rides. Great for the serious rider who wants a pro-level jersey that performs while it looks extra awesome. 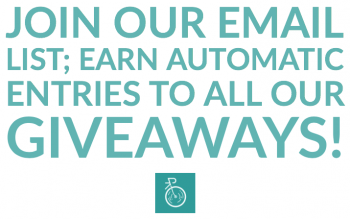 Pair it with the Free Aero Race Bibshorts for pretty much the perfect high performance, warm weather cycling kit. All right, we know, this is the ultimate guide to gifts for cyclists. But we couldn’t resist these cool Yaktrax Runs. In fact, our triathlete tester lives in Alaska, and has found these coils let him run with confidence on icy and snowy surfaces. Super sturdy, these have stood up to punishment in some harsh environments, and let our brave, brave tester stay outdoors (good for him, right? It just might be 75 and sunny here where we’re writing this, which is not in Alaska). With removable spikes and steel coils, runners can get 360 degrees of traction, and can be worn in temps as low as ‑41° Fahrenheit. As an added bonus, our tester found these also worked great for his elderly dad who just wants to walk in with more confidence in snowy/icy conditions. Pretty much a win-win for all concerned. These are a great gift for triathletes willing to brave the cold. The Z-Lok by Hiplok is a zip tie styled bike lock, which is a light, easy, and quick security measure. Insert the tail end of the Z-Lok through the mechanism, tighten to your desired measure, and BOOM. Locked. Ultra light at just 18 grams, the Z-Lok measures 40cm long and ratchets to lock in even the tightest fits. The way it works is ultra simplistic, and the key mechanism is also quite user-friendly. You can’t really screw it up here. Although the lock is reinforced with steel, this is still considered low-security. Definitely great for zipping a helmet and wheels to your bike’s frame for an added measure of protection, in conjunction with another lock. These come in especially handy when using a car rack system–securing the wheels to the trays of the rack makes you look like you’re serious about keeping your bike in tact. A great, low-budget gift that comes in single and double packs and several colors. What better way to say, “You’re my favorite cyclist” than with our official kit. Yes, it’s totes awesome. Yes, it looks super cool. Yes, we’re biased on this one. 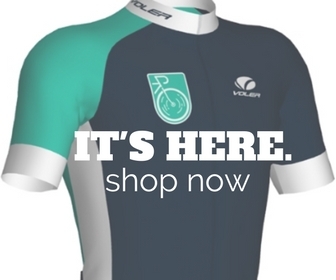 Made in the USA by Voler, we’ve had these custom kits specially designed to make you look great while you hammer out the miles. We’ve got a full review of the kits here, for all the top features. But we think there’s no more perfect gift than the gift of wearing SLO Cyclist Magazine. Inspired by the cycling cult classic, “Breaking Away,” Thousand’s new sweatshirts are cool ways for your favorite cyclist to rep their sport off the bike. With a zippered rear pocket that stows a small wallet or phone, moisture-wicking French terry fabric, reflective details, and raglan sleeves, these can be worn on commutes and relaxed rides. Super comfortable and with extra range of motion built in. We’re digging the homage to one of our favorite bike films of all time. Comes in the blue flag styled pictured above, and a gray with “Little Five Hundred” print. Plus, we also dig Thousand Helmets’ commitment to giving back. So let’s say you don’t speak Italian either, then you’ll probably be stoked to know that “tasca” means “pocket” in the great and complex language. And the SmarTasca is exactly that: a pocket for your smartphone and cash. The sturdy, transparent bag has a double sealed closure and allows full use of touch screens while keeping your phone protected from sweat or rain. Avail in two sizes: small for use with a phone only, and medium to fit a case-less phone plus cash, and key, and ID. small and medium sizes. Sometimes we're all about collaboration.